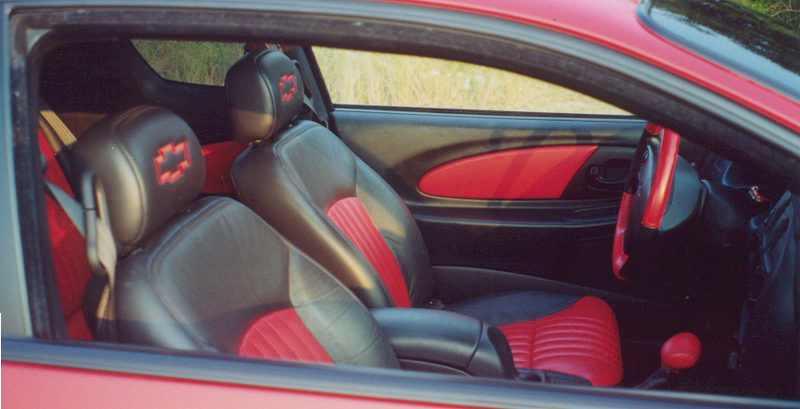 Here are some more Pictures of the interior and the engine. Yes, my friends, it is front wheel drive, and a V-6! A lot of people that see this complain, but after you drive it, you probably would not care too much. For a 6, it isn't really that bad. In this picture you can see the only mods I have added so far: the SLP cold air induction unit, and the Air Temperature Sensor module in the bellows. UPDATE! I no longer have the Air Temperature Sensor. I started having problems with the car missing and took it off because I was unsure of what caused the miss. My friend wanted it and bought it off of me. The problem turned out to be a bad #6 plug wire. Here is the Guage cluster. 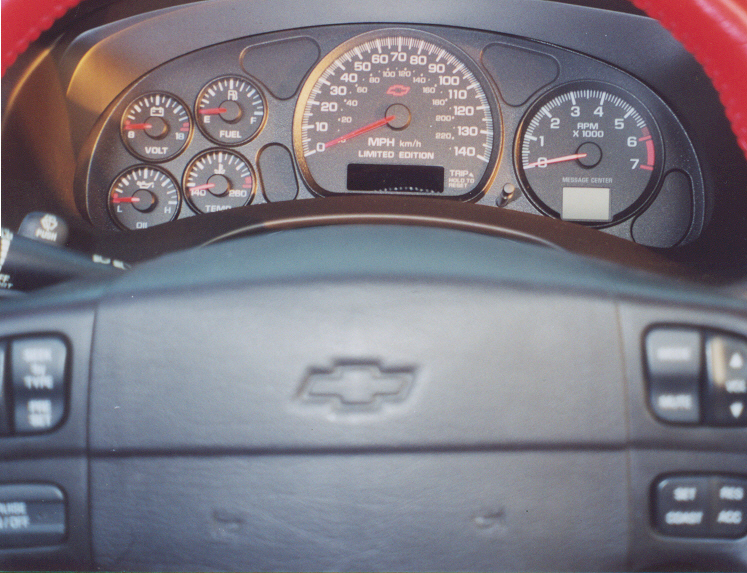 You can see where it is labeled "LIMITED EDITION" on the speedometer. Only 2,222 Pace Cars were made for the 2000 model year. Here is a pic of the interior, i really should have opened the door for this. When I get a better one, I will change it. 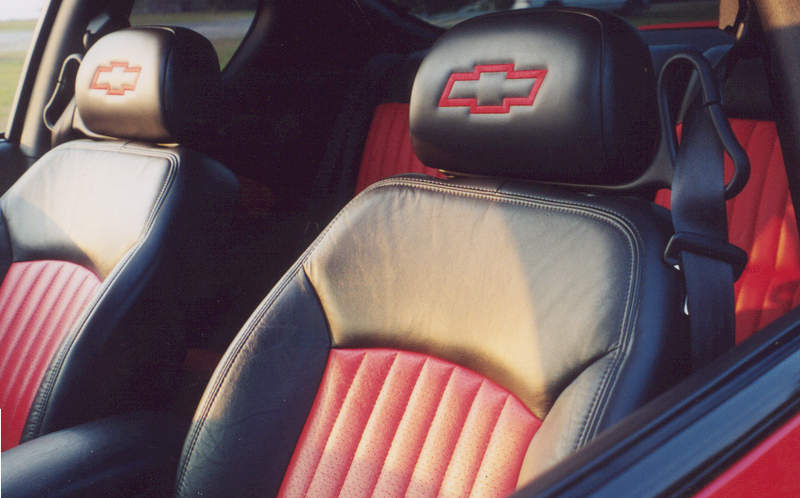 Notice the "Bowties" embroidered on the headrests (very cool). The interior was the first thing I noticed before buying the car! 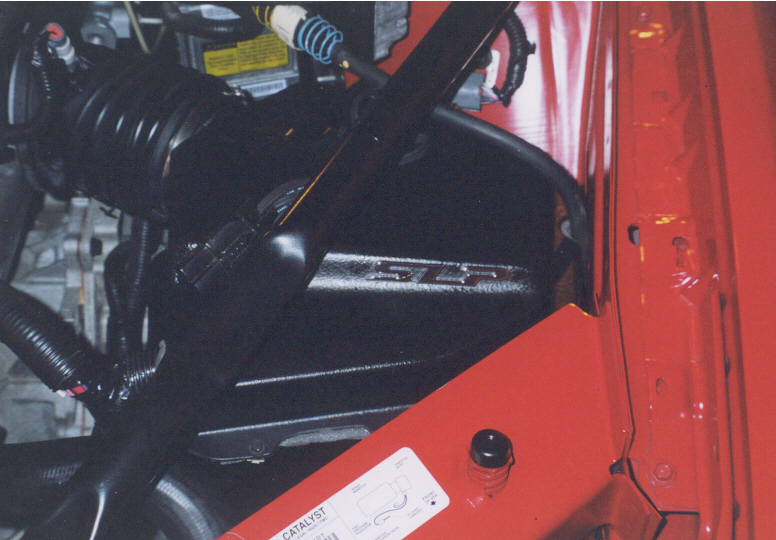 Here is a low angle shot of the engine.